Photo Shows: one swag set. ordered them on july 4th and they were delivered on july 6th! upon opening the box i knew they would be perfect. even the plastic bags they came in have zippers. the material is incredible and ironed great. the color is just what i hoped for, i would call it more ivory instead of champagne (no yellow tinge, a pure cream). my living room has huge window combinations so i ordered two 3 pc sets and 10 inserts. 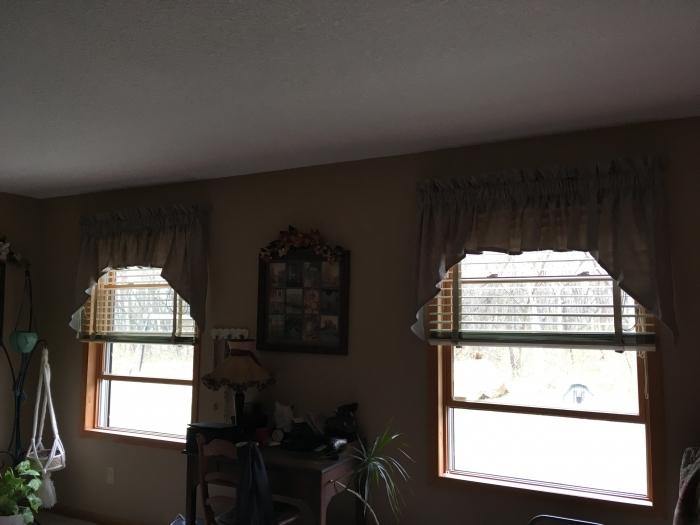 they are so well made, and each one the exact same length (unlike cheaper valances). i will never even bother to look at other websites.....a am truly very pleased with this purchase. next week i plan to order something from SWAGS GALORE for the bedroom!!!! Prosmaterial is much more than i expected. they are light and airy, yet heavy enough to have proper body to hang great. very classy in a large living room, but still would not be out of place in a bedroom or bathroom. Very good quality, I was afraid they would be thin and cheaper made but they wasn't, they're very nice thanks they look just like the picture too! beautiful curtain and excellent quality! Very nice quality swags. For me the only downside is the color (stone) Has a greenish tinge, and I was expecting more grey. Not enough of a drawback to return them, but be aware. I had 8 windows to dress in one room and these had the perfect amount of texture and shine. I love this swag. Very good quality. Looks pretty hanging on the window. Well made and love the fabric. I love this swag set.I worked out great in my kitchen!! They are perfect. I absolutely love them. We are building a new home and I was looking for the perfect curtain. When I received my order, I panicked as I had ordered the charcoal and they honestly looks to be brown. 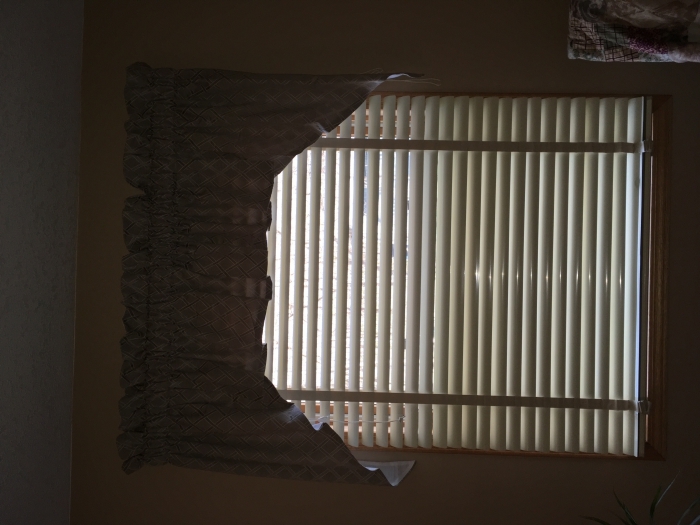 So I took them to our new home and held them up to the windows against the light gray wall and dark gray trim and they look great. I am so glad I found Swags Galore. We recently did a make over on our bedroom, starting with painting the walks. This company is my go to online store when I need new window treatments. I was not disappointed with these cute curtains. I live the shape and the style. The Swag curtains I purchased were well made and a reasonable price! Everything was great from ordering, receiving on time and the quality. Would definitely order again from this,website. Received swags and did not even want to take them out of the package. They looked cheap and did not think they were attractive. I was looking for grey swags and these look more brown. Hubby liked the way they matched the new floor and asked me to try them out before returning them. Glad he did. They are lined and hang evenly. They look a lot more impressive after they are ironed and hung. Good quality and at certain times of the day they look like a soft dove grey. Keeping them and very happy with my purchase. Company was easy to work with and delivery was quick. So glad I found the site and will use the in the future and refer the site to friends. Love this swag set. Big transformation from the white lace curtains that were up. Very stylish and at a great price. Most attractive swag set I've seen. Material has body and irons up beautifully. Very easy to work in folds and pleats. Would highly recommend. ProsEasy and attractive material to wok with. Hangs perfectly.